This restaurant is permanently closed. Permanently Closed - Alobar is that great neighborhood restaurant, the one where you can go back again and again and find something creative and new every time. Where you know there are quality ingredients because whenever possible the Chef is sourcing ingredients locally, and you can usually find out where it comes from. Alobar delivers on creative food including home-made salumi, charcuterie, and preserves in addition to beautifully composed small and large plates. And keeping with the neighborhood vibe Alobar gives you such warm & welcoming service and atmosphere that makes you feel like you have a home away from home. The BAR is open late Thursdays, Fridays, & Saturdays. 47 Ave. & 46 Rd. So...despite having a reservation, neither Alobar nor Open Table gave me the heads up that this place had been CLOSED for non-payment of taxes! This was my birthday brunch and when I showed up 15 min early I was greeted by a sign on the door. I was dumbfounded. Now, it wasn't a big deal b/c there are a dozen other great places to eat in this area and we just went a block away to another place that luckily had no reservation requirements and had tables available. But still! I should have been alerted. Delicious Cajun-inflected food. Chef Reagan and his guys did an amazing job on all the dishes, from the octopus to the duck to the pizzette, etc. Service was stellar. Thanks for a great night! Great place with great service and inventive food. Will be back for sure. disappointing food & service. music was extremely loud. 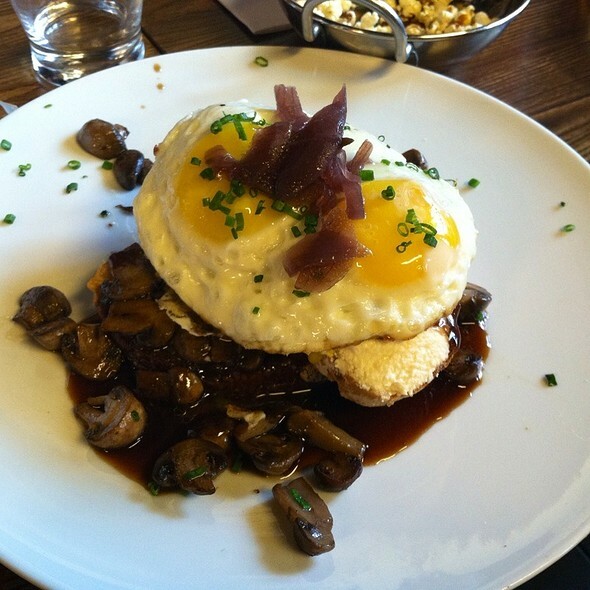 Alobar provides great food but service can be spotty especially if you happen to attend a late brunch. The kitchen closes around 4pm for dinner at 5pm. It would have been good to get that heads up. Overall, great food and ambience. Delicious, perfectly portioned, creative meals. 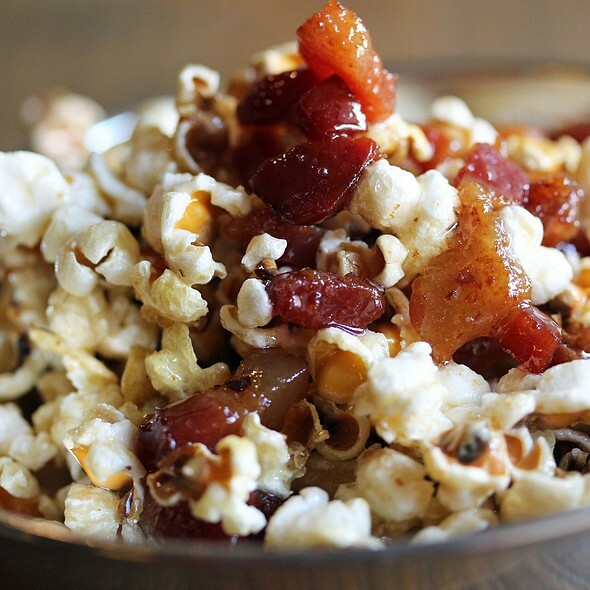 The maple bacon popcorn is unbeatable! 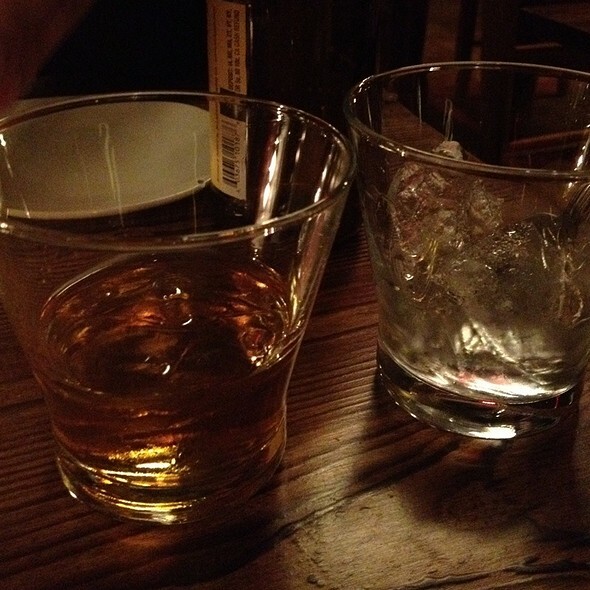 Cocktails are excellent, as is the whiskey selection. Great for a hang at the bar, night with friends, or dinner date. Noise rating is because there was live music and it was very loud. (But did get used to it.) Food very tasty. But service was lame: well-meaning and nice but amateur –staff just not trained well. Manager's response to my constructive comments (which he solicited) was defensive, with lame excuses and no goodwill gesture, and just proof that management doesn't "get it." (To be clear: no arrogance or anything overtly negative. Just lacking in standards and awareness.) Would recommend restaurant, as I said, but with caveats. It's a nabe place for me, so I wish them well and will try to support. But I wouldn't recommend anyone travel to it. First time here, had a reservation with friends. Good service, good food and well-priced. 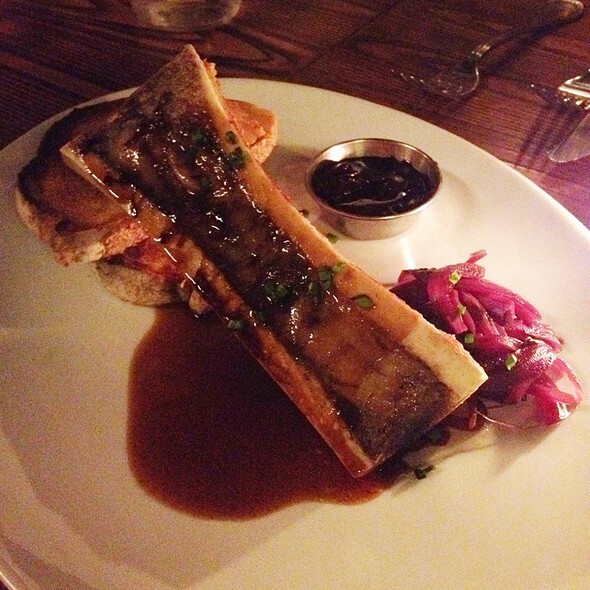 Decent food, great service, eclectic menu, mostly a bar scene vs. restaurant. We were eager to try this restaurant, as the pictures of the food on the website looked amazing. The food was quite good, if less than amazing. The bacon maple popcorn appetizer was the only thing we all agreed was horrible. Otherwise, our only complaint was the disco music!!! Hardly conducive to a quiet dinner with friends! Music is part of the whole experience! A regular spot for us; equally good for couples or larger groups. Menu changes which ensures we can go regularly and we always have a great meal. 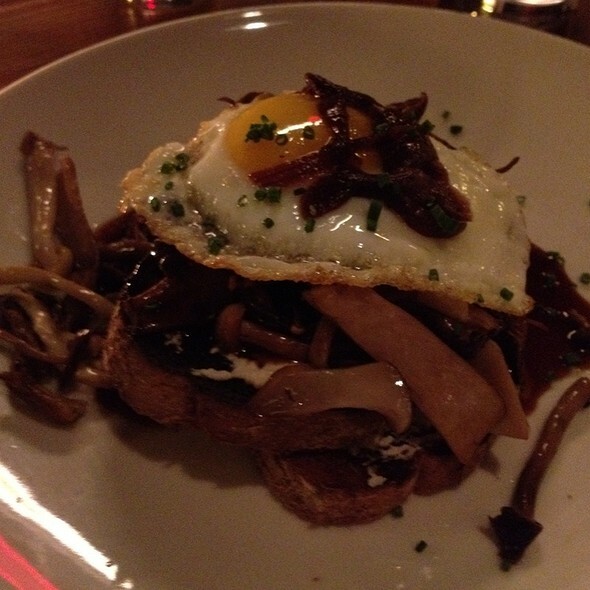 We took a friend for her first meal here and she particular loved the duck leg confit. Our favourite time is Thursday evenings when a live jazz band plays. Outstanding service! Delicious food, will definitely be back! Everything was absolutely awful from the moment we walked in. This place used to be great about 4 or 5 years ago, they must have changed owners since because the last 2 times we've dined here it's been such a waste. I came in last Sunday for brunch with My husband, my sister and her fiancé. We walked in and it wreaked of bad cleaning product. Our waiter didn't come to our table until 20 minutes after we sat down. Once our order was placed it was continued disappointment....they brought bread for the table, cold, hard bread with cold, hard butter. We ordered monkey bread to start, which was served with an ice cold burbon glaze. Then the final disappointment, my main course. I ordered breakfast tacos that were served on the worst excuse for a corn tortilla. The toritilla was so thick and so dry it just broke in half when I folded my taco. The pork sausage looked like bits of cut up hot dogs (my dog eats better meat) and finally the ice cold scrambled eggs were top with BBQ sauce.....BBQ sauce on a breakfast taco?? Needless to say, I had one bite and the rest went to waste. I will NEVER attempt this restaurant again...should just be closed down and replaced. Stop trying. Used be good. Now they have less menu. I don't recommend go there after 7:30 PM. They tend to close very early. I reserved 7:30PM on long weekend Sunday (the day after was Holiday). Little later, she told me that "this is the last call, OK?" when I was still eating main dish. I asked if I could oder dessert, then she told me their kitchen was already closed. Very nice place to enjoy good food, and good service. Music was a bit too loud for conversation. Also be aware of where you sit, there was a wall heater blowing down on me. I took a date to this location for an after work meet up. The food choices were excellent and had plenty of options for my vegetarian guest. Both of our food items were excellent and I was surprised that the portion sizes were very generous. I would recommend this restaurant! Overall it was a great experience. The homemade patè was the best I ever had. I found the potions of the other meats to be really small for the price and it was really disappointing. The manager was nice and very helpful but we did have to get up a couple of times to ask for things (drinks, condiments) because no one checked on us. This is my favorite restaurant in LIC for special occasions. Every item is delicious. Every time I go I can't wait to return. We had a wonderful time at brunch. The staff was very friendly and multiple servers assisted us. The food and drinks were delicious. We never felt rushed to leave even though the dining room was full. Great surprise in my neighborhood!! Had seen it but never been in. Will definitely go back! Alobar has yet to disappoint! It was the first restaurant we came to the day we moved to LIC and it's still our favorite! The server was great! The food was good. It was just 5 of us and we ordered 4 small plates and 2 large plates and we were full from it. LOVE THEIR SMALL PLATES! Friendly/welcoming/appreciative staff. Warm decor. Creative offerings, executed well. Will return. Really good and interesting food. The staff was very nice and enthusiatic about their food. Very comfortable casual vibe. The food was very good. Not outstanding. The cocktails were very good. I think the whole experience would have been better if the service was good. The server was very nice, but very timid and easily confused and not sure about what was in the dishes or how they were prepared. The food came out in a strange order and just was awkward. I would probably give Alobar another chance though. Went for brunch after exploring Long Island City. Really cool location - it gives off an old pharmacy vibe. The food was fantastic, and the Maple Bacon Popcorn is a must. We very rarely do reviews, but thought Alobar deserved one, as it greatly exceeded our expectations! Really good food, excellent yet subtle customer service, and very good value for money. We couldn't understand how it wasn't full, given that other restaurants in the area were fully booked. We plan to return soon! Not a lot of food options, but the quality is very good. The octopus and farrow tabbouleh appetizers were delicious, and the cocktails were well crafted. I went with a friend at 7pm on a Tuesday, so it was pretty empty and quiet, which was really nice for catching up and chatting with someone. Food and service were excellent. Our server was friendly, helpful, and provided superb service. The service was very slow on a not so busy day. We waited to have our order taken, a long while for the food to come out, and another long while to receive the bill. Everyone was really nice though. The menu should not that this is not "classic" French toast. More like toasted bread with homemade jam spread on it with berries and cream on top. The huevos rancheros were pretty bland. The hanger steak is really bad. Don't order that. Fantastic brunch. Great friendly service and delicious food. This is an unpretentious place with very pleasant service. 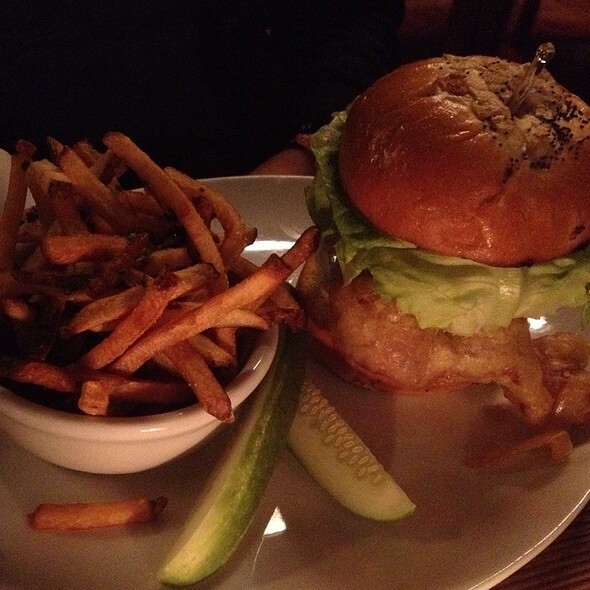 The hamburger and french fries were first rate and give me the confidence that other food may be equally good. We especially appreciated that they turned down the sound level when we asked them to. I had a great time during visit to Alobar. The people were friendly and most importantly, the food was good as well. Thank you staff members for your friendliness for an out of towner. Great brunch with delicious food. We enjoyed very much . Service was great too. We went for Mothers Day and our party of 9 was taken care of. 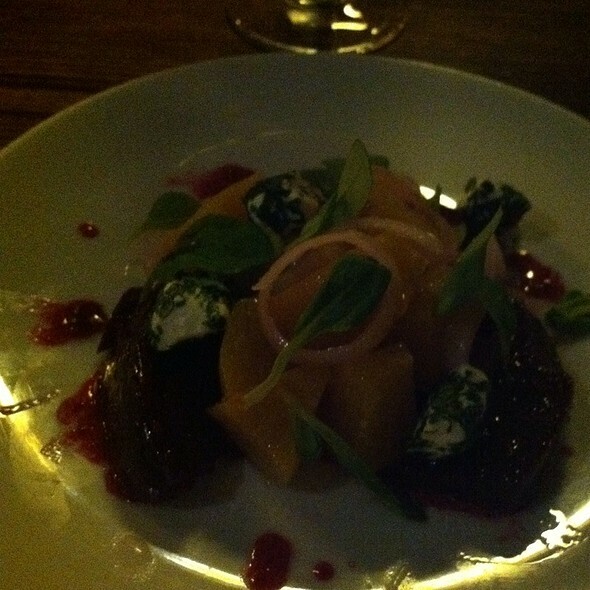 Holidays are a tough time to show off a restaurant but Alobar did just fine. Service was good, drinks are great. Menu had enough choices and the accommodation the vegetarian in the family.